As you approach syndication, beware of the SEC. Ensure your legal structures are in compliance or exempt from SEC regulations. Don’t leave yourself vulnerable! Learn what it takes to make sure your business avoids any fallout with the Securities and Exchange Commission (SEC) … Watch this special webinar from our longtime friend and personal attorney Mauricio Rauld. Walk through what his years of experience as founder and CEO of Premier Law Group have taught him are the three most important things to think about as you approach syndication. Keep these critical legal considerations in check and you’re ready to speak with your attorney and grow your business with confidence. 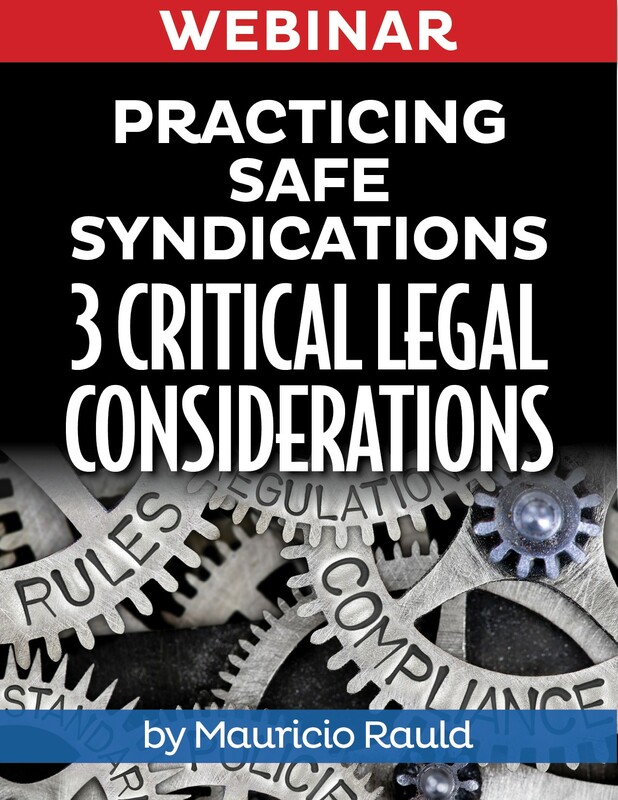 Simply fill out the secure form below to access the webinar, Practicing Safe Syndications: 3 Critical Legal Considerations, created by experienced securities attorney Mauricio Rauld.